Acai Berry Powder has a wonderful fruity flavour that many liken to a cross between blackberry and raspberry, with a hint of red wine and subtle chocolate notes! 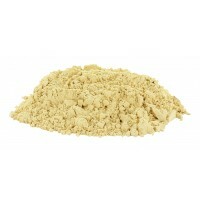 Certified Organic and Raw Acai Berry Powder. Available in 100g or 250g. Acai berry powder is a fruit extract made from the certified organic acai berries of the acai (Euterpe Oleracea) - a palm tree that thrives in Central and South America. Dried into a fine powder immediately after harvest, acai berry powder retains an optimal number of its naturally occurring nutrients, including fibre, vitamin A, calcium, iron, amino acids and omega 6 and omega 9 fatty acids. Acai berry powder contains a large selection of valuable nutrients. Is certified organic by "Organic Farmers & Growers", the leading organic certification organisation in the UK. 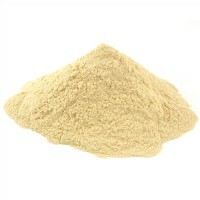 Is dried and processed at a low temperature, so the powder maintains the nutrients from the berry. Is totally pure and free from fillers. 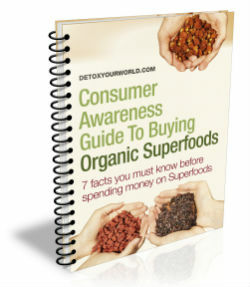 Is suitable for those following a vegetarian, vegan or rawfood diet. Perfect in smoothies, shakes, juices and protein drinks, acai berry powder is equally delicious sprinkled directly over fresh fruit salads and on your favourite rawfood desserts. This recipe is super easy to make and we encourage you to add your favourite fruit into it, the acai berry blend goes well with so many! Put all the above ingredients into a blender and blitz until smooth. Pour this into a bowl. Optionally now sprinkle over some coconut and bee pollen over the acai blend. Cut up strawberries, bananas and kiwis (or the favourite fruits of your choice!) to add to the bowl to complete the recipe! 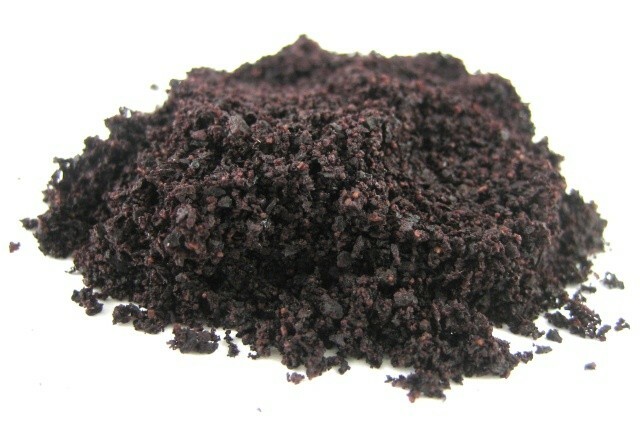 Acai berry powder is rich in vitamin A. 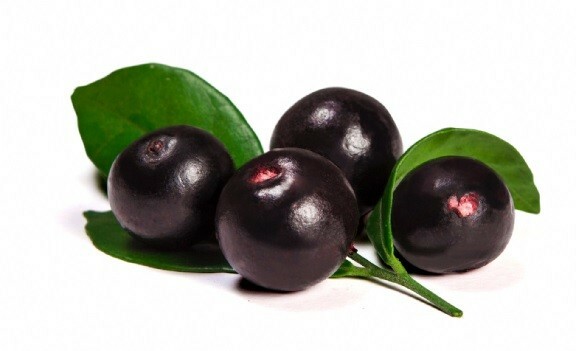 The vitamin A in acai powder contributes to normal iron metabolism, normal function of the immune system, the maintenance of normal mucous membranes, normal skin and normal vision, and has a role in the process of cell specialisation. 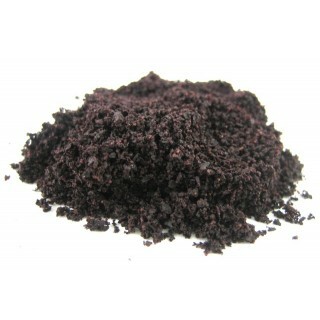 Acai berry powder is rich in iron. The iron in acai powder contributes to normal cognitive function, a normal energy-yielding metabolism, normal formation of red blood cells and haemoglobin, normal oxygen transport in the body and the normal function of the immune system. It also contributes to the reduction of tiredness and fatigue and has a role in the process of cell division. In addition, iron contributes to the normal cognitive development of children. 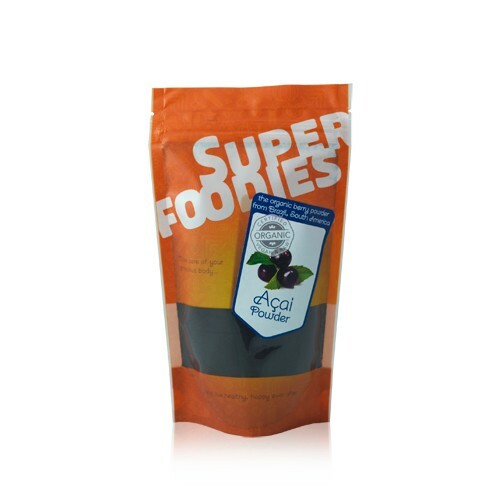 Detox Your World Acai Berry Powder is now in the wonderful Superfoodies bag! It is exactly the same product and nothing has changed! You can trust it is still the Acai Berry Powder that is packed full of the nutrients mentioned above and sourced by the experts at Detox Your World from only the finest and best suppliers. Do not buy acai powder if you have an allergy to pollen or are sensitive to acai or other types of berries. Always read the information on the packaging before choosing to eat acai powder. There are no known side effects associated with acai powder.